Dancing City - Get Involved! 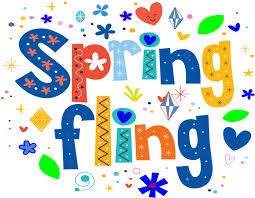 Our annual joint Spring Fling (held with ST Oswalds) is just around the corner. It is on Thursday 28th March at LOKS Shawlands from 7-9pm. Tickets cost £2.50 and can be purchased from the school office. As head teacher at Hollybrook Academy I would like to extend a very warm welcome to everyone who accesses our school website. You may be doing this to learn a little more about the school, the staff or the curriculum. You may wish to check term dates, latest newsletters or pupils’ achievements. You may wish to have a look at our latest prospectus. All of this information and more, including pictures of recent events involving our pupils both in and out of school, can be located on this newly updated website which we hope you will enjoy browsing. All parents and carers want their child to be happy, secure and have the best possible secondary education. We want exactly the same for all of our pupils and we strive to provide a stimulating and supportive environment that promotes high expectations and aspirations. We are proud of the school’s many achievements, which have been the result of hard work by a very professional team of staff, and an equally determined and enthusiastic group of pupils. This website hopefully reflects that philosophy and commitment. If you would like further information or would like a tour of the school please do not hesitate to contact the school office to arrange an appointment to meet with me.